The Jim Henson Company and BBC1 will team up to produce That Puppet Game Show, set to air later this year. 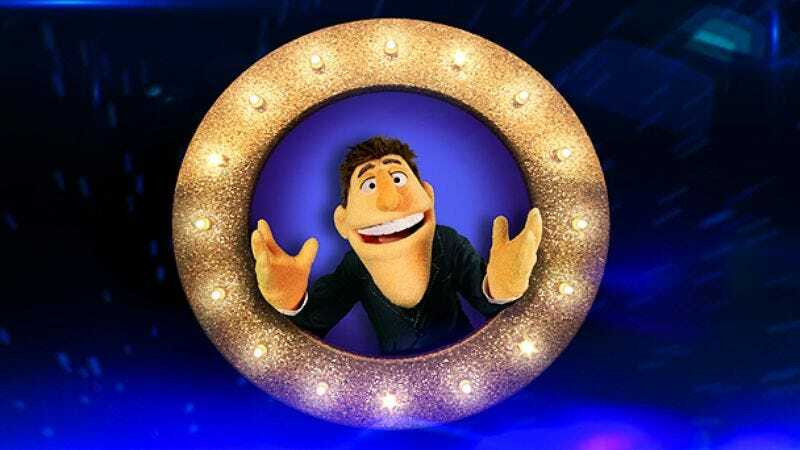 As its title suggests, the puppet/game show hybrid will feature two celebrity contestants fielding questions from a cast of puppet characters, as well as Muppet Show-like backstage antics. New Muppet character Dougie Colon (pronounced "cologne") will be the host, which means somewhere Guy Smiley is screaming at his agent over the phone as we speak. The show is only set to air in the UK, so American commenters have plenty of lead time to prepare their complaints about the inevitably inferior U.S. remake.